During last week's NCLS at the Academy, we had the chance to stop by for the Astronaut Panel in Arnold Hall and at the Prep School. As well as a visit from Colt McCoy at the Prep School. 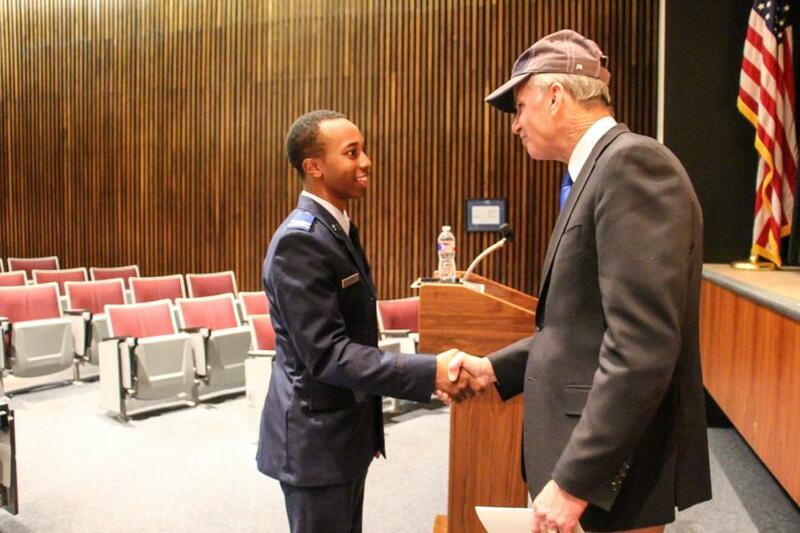 Arnold Hall hosted an Astronaut Panel Thursday afternoon. 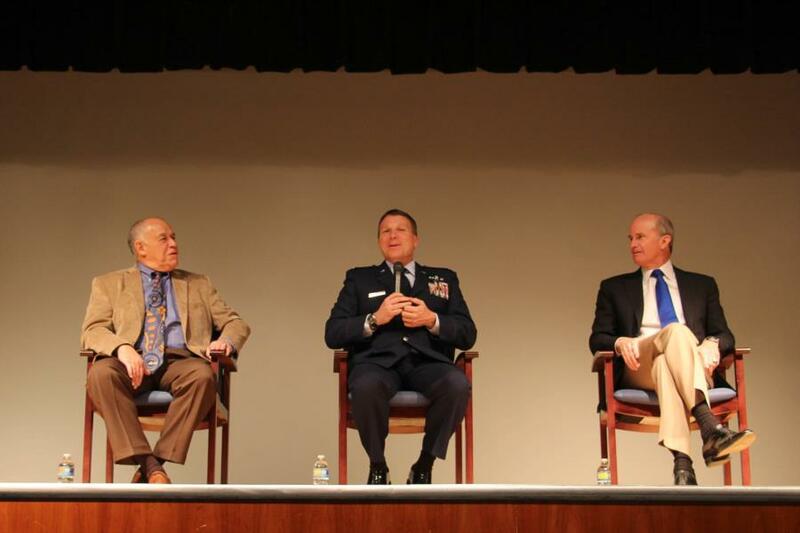 The panel included Lt Gen (Ret) Susan Helms, Col (Ret) Fred Gregory, Gen (Ret) Kevin Chilton and Col Terry Virts. The panel answered questions ranging from, what their first time in space like. To their favorite moments while in space and how did their perspectives change as they viewed the world from space. One of the stories told was by Lt Gen (Ret) Susan Helms, who said that on her rookie flight - her crew helped to prepare her by answering any and all questions she had. They told her the differences between the simulator and what it would really be like. As soon as they got into space, they went right to work on their mission. She said a few days into the mission, she was having trouble keeping her shirt tucked in to her pants which seemed odd because NASA spends all this time making sure everything they wear fits perfectly and she couldn't understand what was wrong. One of her crew members mentions that in space, you grow a few inches and your body physically changes and that's what the velcro on the crew pants was for so you can tighten your waistband - to tighten because of the body physically changing. Which was something they forgot to mention to her, that when you get into orbit the spine is no longer under the compression of gravity as it is on earth and your spine will elogate. NASA really does think of everything. Col Terry Virts said his perspective on earth has changed dramatically since being in space. At night time you can see wealth which he found interesting and it was something he hadn't really thought about before. You don't really see population of the earth at nighttime but you do see wealth. Between Cairo and Johannesburg it's almost dark, how there's a few bright lights Nigeria. There's a lot of people but no lights. In the Middle East in Saudi there's a lot of lights but not a lot of people. The most striking things to him was seeing Seoul, South Korea - which was one of the brightest cities in the world. But then just north of this is pitch black, he said at first glance he thought it was the ocean but no. It's North Korea and right were Pyongyang is, is light. It hit him, the darkness. Darkness on a lot of levels - physical darkness as well as spiritual darkness. Col (Ret) Fred Gregory said that at home you define something as a neighbor as someone close by, maybe 10 minutes by drive. In space you are flying 5 or 6 miles a second so your sense of neighborhoods changes significantly. When you come back, you still have the sense that this is your neighborhood now, but it's the world. Not just your town but the whole thing. When he got back he wanted to go out and visit his new neighbors, he and his wife decided to travel around and every where they went. The first person he would see after getting off the plane he would approach and say "Hi neighbor!" They had so many fascinating stories and great answers to the questions they were asked. 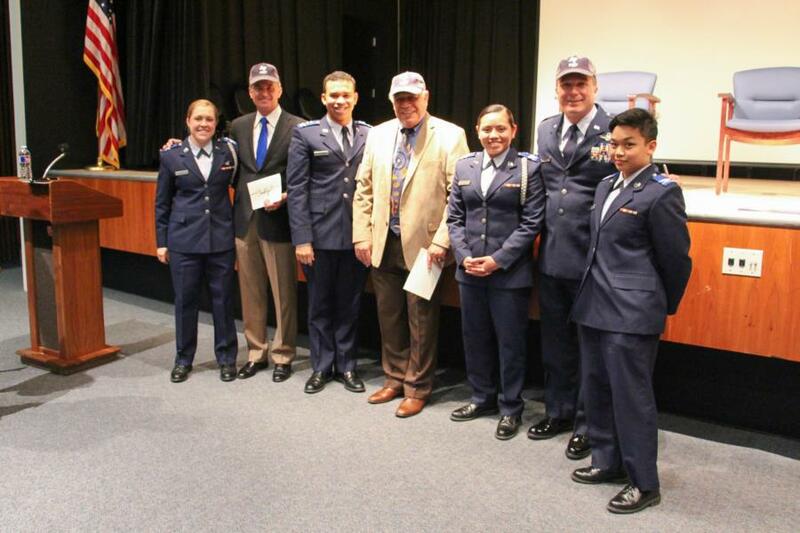 Their love of the Air Force and Space showed in spades as they spoke about their experiences from attending the Air Force Academy to applying to be Astronauts. 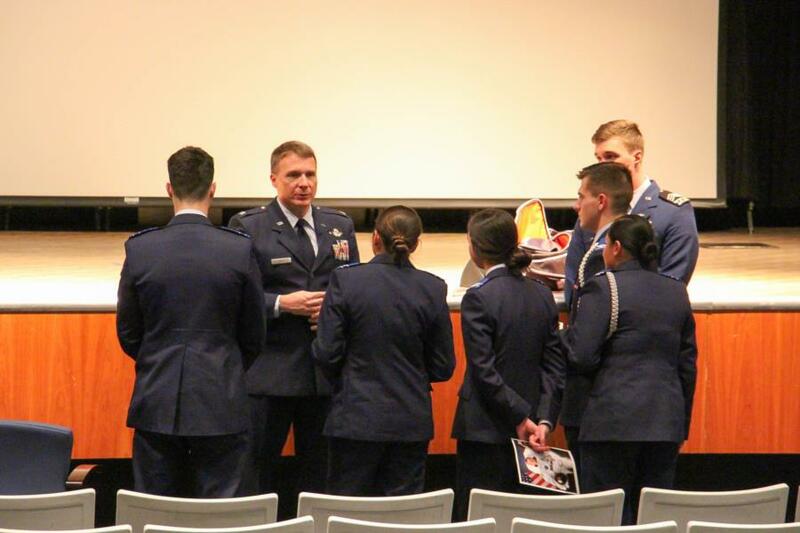 To view the rest of the pictures taken during the Cadet Astronaut Panel go to Galleries - Military Training - Character and Leadership Development. Or click the link below. 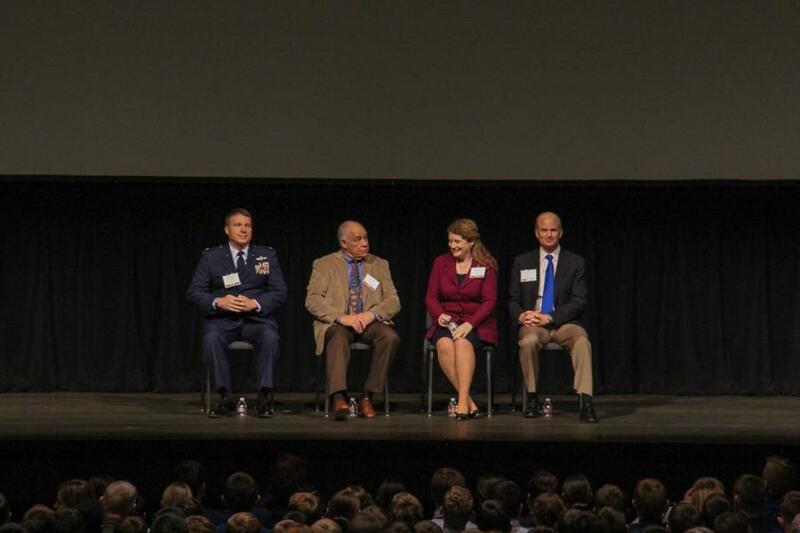 The Astronaut Panel that took place at the Prep School Thursday evening, included Col (Ret) Fred Gregory, Gen (Ret) Kevin Chilton and Col Terry Virts. At the Prep School we were able to get some clips of questions from the C/C's to the Astronaut Panel, the C/C's had some great questions! Check out the clip below for one of them between one of the C/C's and Gen (Ret) Kevin Chilton. The C/C's also had the opportunity to talk with the Astronaut Panel up close. The Prep School gave the Panel Prep Hats and Thank You cards for taking the time out to visit with them at the Prep School. 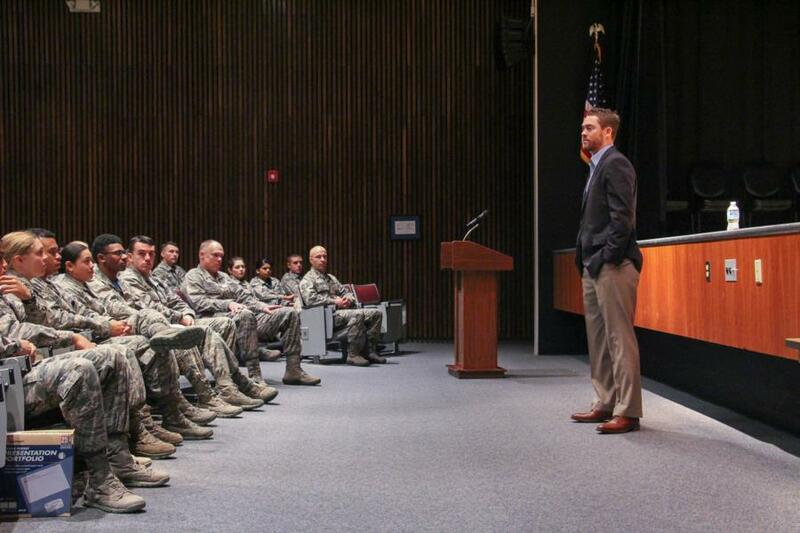 Colt McCoy also visited the Prep School during our NCLS week last week. He said that one of the things that has helped him the most is to have someone in his life that he has to be accountable to. "Have somebody there that constantly holds you accountable and pushes you where you don't want to be pushed. Am I doing everything daily to be the best that I can be?" Colt said that what sets him apart from other players who might be bigger, stronger and even more talented is his ability to be mentally tough. 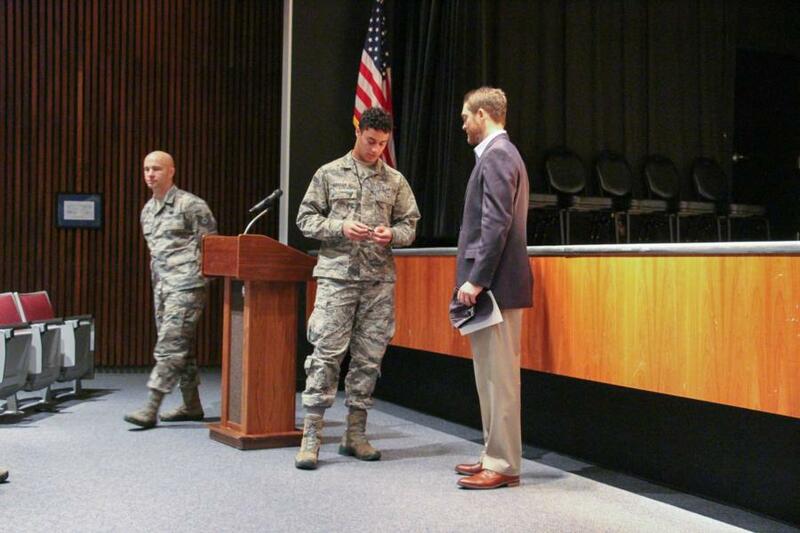 Some of the C/C's were able to ask him questions during his visit. Check out the clip below for one of them between one of the C/C and Colt McCoy. 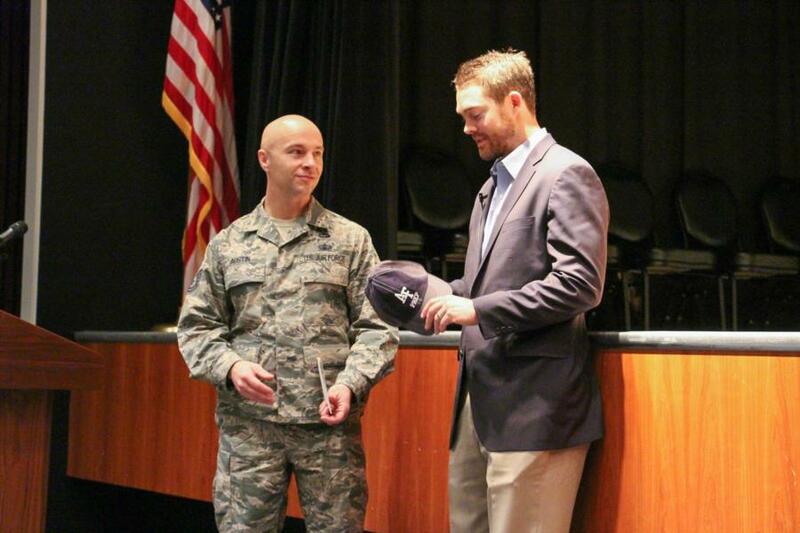 At the end the Prep School presented Colt McCoy with a Commander's Coin, Prep Hat and a Thank You card for taking the time to visit with the Prep School during the NCLS week. To view the rest of the pictures taken during the Astronaut Panel and Colt McCoy's visit go to Classes - Prep School - Prep Life.